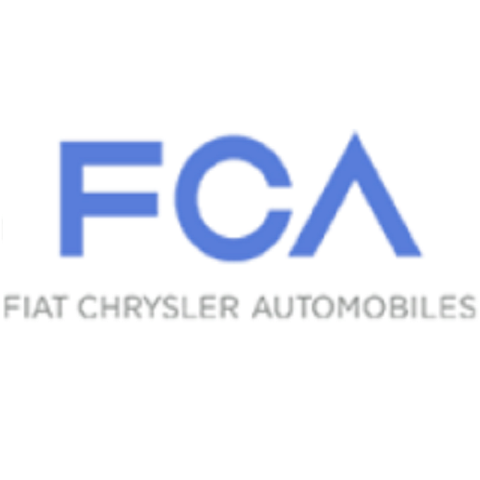 Vehicle testing is an important function at FCA US LLC. The Company’s wind tunnel, a key contributor to its class-leading performance in the field of aerodynamics, has long in been in high demand. The same is true of the historic Chelsea Proving Grounds, west of Detroit, which recently opened its high-security gates to more than 175 engineering students. For five years running, FCA US has hosted teams involved in the Society of Automotive Engineering’s Collegiate Design Series – a car-building competition that takes them from the classroom to the course –for a day of testing their designs. Teams compete in four classifications in multiple events across multiple locations through June 23. 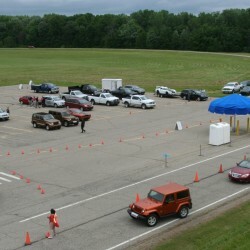 Most student teams must use makeshift test facilities such as campus parking lots or, at one Midwest school, a small dirt plot managed by its agricultural engineering department. “We do drivetrain tuning for acceleration, (but) we can’t see how the car’s going to behave in competition,” said Andy Kopplin, a mechanical engineering senior at the University of Illinois. “We’re opening up a venue for them to be able to push their cars to the limit, in a very safe and controlled environment,” said Raynard Durham, Head of Vehicle Dynamics and Chassis Engineering at FCA US. The SAE Collegiate Design Series challenges engineering students to develop vehicles with a wide range of capabilities – from snowmobiles to aircraft. This year, FCA US welcomed teams competing in the Formula and Baja vehicle classifications. Formula features cars similar to those used in open-wheel racing, while Baja is strictly off-road. 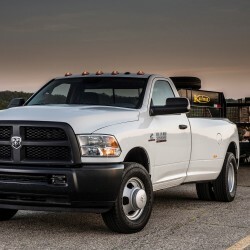 Such challenges are par for the course and they actually enhance the learning experience, said Matt Reynolds, FCA US Senior Manager – Vehicle Fuel Economy and GHG Compliance Planning. “There’s always a design change or some issue that comes up,” he said, noting that competition preparations mirror the product-development process used by automakers to launch new vehicles. Testing “actually helps them understand what it means and why it’s important to appreciate that,” Reynolds added. The student teams mirror car companies, Durham noted. For Durham, FCA’s “Test and Tune” event had a unique resonance. He competed in the Collegiate Design Series when his engineering career began 32 years ago. The vehicles he built were “crude” compared with the ones he saw at Chelsea, many which featured high aluminum content and lightweight “chrome moly” tubing — material infused with molybdenum and chromium as strengthening agents. Apart from the technical knowledge students gain from their visit, the annual event affords an opportunity to build relationships. “At the end of the day, what’s really unique about this is the students get a chance to talk to FCA engineers one-on-one,” Reynolds said. More than 60 FCA US engineers and other technical experts took time away from their jobs to offer guidance. The resulting atmosphere was “incredible,” Kopplin said. Chelsea Proving Grounds opened in 1954. Operating 24 hours a day, the 4,000-acre site has accommodated more than 630 million test miles. Its tracks have been the backdrop for numerous speed records, while its off-road courses have made significant contributions to the development of iconic vehicles such as the all-new 2018 Jeep® Wrangler SUV. One off-road stretch is modeled on the famous Rubicon Trail.